Vinyl and Aluminum Windows - L.J. Hausner Construction Co. If you are thinking about replacing your windows, LJ Hausner Construction Company has the ideal solution for your home improvement project – new windows from our exclusive LanCar Collection! We go the extra mile to provide the very best glass products that enhance your home and lifestyle. Our windows are specially manufactured to reflect the styles found in the Southern California region, so you get products and installation that is a perfect match for your home’s architecture. We recognize and have solutions for the various designs, options and install methods unique to Riverside, Long Beach, San Bernardino, Chula Vista and surrounding areas in Southern California. 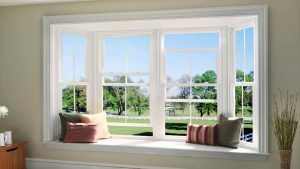 No matter where you live, you can have beautiful, expertly installed windows. All of our LanCar Collection windows are Energy Star® Certified, which means you will save cash on your utility costs. The energy-efficient, dual-pane glass helps to keep the cool air in during the summer and the warm air in during the winter, keeping your family comfortable all year round. Another huge benefit of new windows is the low maintenance. They are virtually dust-free, noise-free, crack-resistant, and easy to operate and clean. 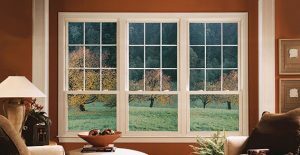 Hausner Construction customizes your replacement windows from our LanCar Collection to your exact specifications. With precise measuring and manufacturing, you’re sure to get tighter fitting windows and a better installation. But we know you’ll be more impressed with the perfect custom design of your new windows – a design that preserves the unique beauty and integrity of your Southern California home. Our windows are easy to operate and are virtually maintenance-free, and the dual-pane glass will help insulate your home better and save you money on your energy costs. 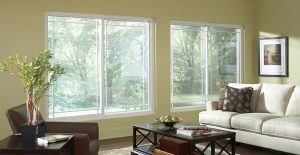 Over time, new windows can pay for themselves with the extra energy savings! You want replacement windows that won’t need replacing. That is why vinyl is a great option for your home improvement project. Today’s PVC vinyl compound is comprised of a complex blend of ingredients, formulated to withstand physical impact, plus all climate and solar extremes. We go even further to provide their vinyl with optimal protective PVC additives to ensure a long life. Your replacement windows will come standard with vinyl that can stand up to the toughest elements and use. Hausner Construction can also craft your replacement window frames from aluminum. In addition to being lightweight, strong and durable, aluminum windows are also a great choice for historic and custom applications because they can be easily extruded into complex shapes. Aluminum windows also require minimal maintenance and resist rust, cracking, splitting and shrinking. The frames are available with baked-on finishes for lasting color. L.J. Hausner Construction Company offers premium quality windows with our very own LanCar Collection. Our certified and trained professionals are ready to come to your home and answer any questions you have about window replacement. Call us today at 800-698-2005 or complete our online form to request your free in-home consultation.